Uvarovite: Mineral information, data and localities. 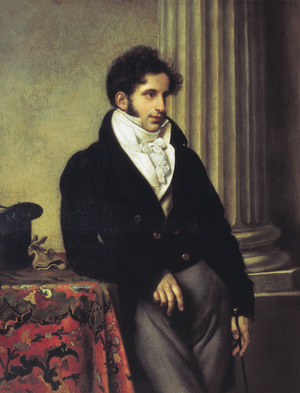 Named after Count Sergey Semeonovich Uvarov (1786-1855), Russian statesman and scholar, President of the Academy of St Petersburg (1818-1855). Uvarovite is the name given to the green calcium chromium garnet end member. The name has frequently been misused in the past to refer to other green and/or chromium-bearing garnets, many so-called 'Uvarovites' are actually chromian Grossular, chromian Pyrope, green Andradite (the so-called Iranian 'uvarovite') or even the rare Knorringite (magnesium chromium garnet). Note: some uvarovites show Al-Cr cation ordering, resulting in orthorhombic, monoclinic or triclinic symmetries (while still being strongly pseudocubic), see articles by Andrut & Wildner (2001, 2002). 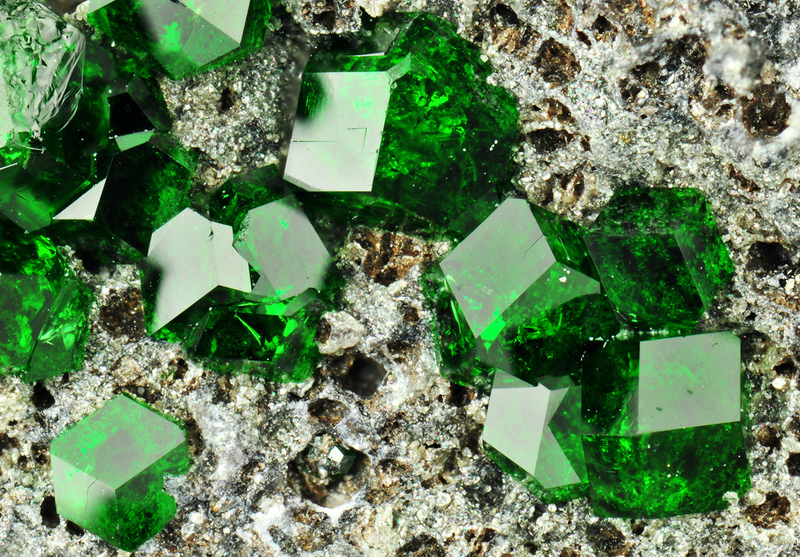 Visit gemdat.org for gemological information about Uvarovite. May be weakly anisotropic due to strain or symmetry reduction (triclinic and orthorhombic varieties are known). Shuiskite 26 photos of Uvarovite associated with Shuiskite on mindat.org. Chromite 21 photos of Uvarovite associated with Chromite on mindat.org. Diopside 14 photos of Uvarovite associated with Diopside on mindat.org. Chromian Clinochlore 13 photos of Uvarovite associated with Chromian Clinochlore on mindat.org. Quartz 11 photos of Uvarovite associated with Quartz on mindat.org. Calcite 11 photos of Uvarovite associated with Calcite on mindat.org. Amesite 10 photos of Uvarovite associated with Amesite on mindat.org. Magnesiochromite 9 photos of Uvarovite associated with Magnesiochromite on mindat.org. Clinochlore 8 photos of Uvarovite associated with Clinochlore on mindat.org. Sphalerite 4 photos of Uvarovite associated with Sphalerite on mindat.org. Ann. Phys. Chem. (1832) 24, 388. Pan, Y., Fleet, M.E. (1989) Cr-rich calc-silicates from the Hemlo area, Ontario. The Canadian Mineralogist: 27: 565-577. Andrut, M., Wildner, M. (2001) The crystal chemistry of birefringent natural uvarovites: Part I. Optical investigations and UV-VIS-IR absorption spectroscopy. American Mineralogist: 86: 1219-1230. Andrut, M., Wildner, M. (2001) The crystal chemistry of birefringent natural uvarovites: Part II. Single-crystal X-ray structures. American Mineralogist: 86, 1231-1251. Andrut, M., Wildner, M. (2002) The crystal chemistry of birefringent natural uvarovites. Part III. Application of the Superposition Model of crystal fields with a characterization of synthetic uvarovite. Physics and Chemistry of Minerals: 29: 595-608. Andrut, M., Wildner, M., Beran, A. (2002) The crystal chemistry of birefringent natural uvarovites. Part IV. OH defect mechanisms in non-cubic garnet derived from polarized IR spectroscopy. European Journal of Mineralogy: 14: 1019-1026. The following Uvarovite specimens are currently listed for sale on minfind.com. Grüll, M. & Schreilechner, A. (2013): Spektakuläre Uwarowite - neu aus Afghanistan. Lapis 38 (1), 42-45. Minerals in podiform chromitites - Tumut Serpentinite Province, Southern New South Wales, Graham, Franklin and Marshall, 2001, Australian Journal of Mineralogy 7(1). Hytönen,K. (1999): Suomen Mineraalit. Geologian tutkimuskeskus. Erillisjulkaisu, Jyväskylä, 399 pp. (p. 320); Stanislav S. Gornostayev, Kauko V.O. Laajoki & Ossi Leinonen (2000) The platinum-group minerals in the Kemi chromite deposit, Finland: a case study of the Elijärvi ore body. In Abstract volume and Field trip Guidebook, 2nd annual GEODE-Fennoscandian shield field workshop on Palaeoproterozoic and Archean greenstone belts and VMS districts in the Fennoscandian Shield (Vol. 28). A.ABREAL(2015) Les grenats de Nouvelle Calédonie : Métamorphisme de subduction et Skarn J. of Pers. Mineralogist, vol.7, page 149-165. Mineralogical Magazine 1968 36 : 962-965. 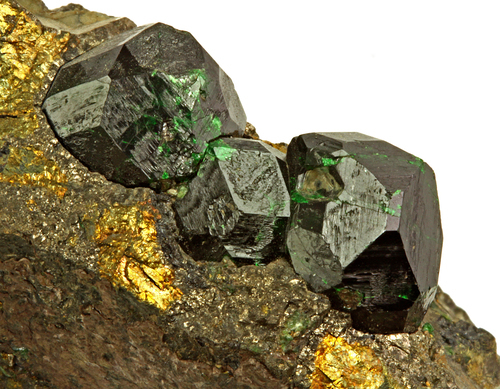 Sigismund, P. (1948) Granato e vesuvianite in Val Malenco. Atti Soc. It. Sci. Nat., 87, 145-171. Gramaccioli, C.M. (1962) I minerali valtellinesi nella raccolta di Pietro Sigismund. Ed. privata, Milano, 179 pp. De Michele, V. (1974) Guida mineralogica d'Italia. Ed. De Agostini, Novara, 2 vol., 408 pp. Bedognè, F., Montrasio, A., Sciesa, E. (1993) I minerali della provincia di Sondrio: Valmalenco. Bettini, Sondrio, 275 pp. Sciesa, E. (1993) Le cromititi della Valmalenco (Alpi Centrali). Il Naturalista Valtellinese - Atti Mus. civ. Stor. nat. Morbegno, 4, 3-9. Tabacchi C. (1972) Le cave di amianto abbandonate in località Vallone di Scerscen (Val Malenco, Sondrio). Notizie del Gruppo Mineral. Lombardo, 4, 88-89. (This publication later changed its name in Rivista Minealogica Italiana) Bedognè, F., Montrasio, A., Sciesa, E. (1993) I minerali della provincia di Sondrio: Valmalenco. Bettini, Sondrio, 275 pp. Sciesa, E. (1993) Le cromititi della Valmalenco (Alpi Centrali). Il Naturalista Valtellinese - Atti Mus. civ. Stor. nat. Morbegno, 4, 3-9. Compagnoni, R., Ferraris, G., Mellini, M. (1985) Carlosturanite, a new asbestiform rock-forming silicate from Val Varaita, Italy. American Mineralogist, 70, 767-772. Rossetti, P. (2000): The iron ore deposits of the Italian Western Alps. In: Cucini Tizzoni, C., and Tizzoni, M. (Eds. ), Il ferro nelle Alpi. Giacimenti, miniere e metallurgia dall’antichità al XVI secolo. Atti del convegno / Iron in the Alps. Deposits, mines and metallurgy from antiquity to the XVI century. Proceedings of the conference, Bienno (BS), Italy, 2-4 Ottobre 1998. Contribution volume, Tipografia Camuna S.p.A., Breno, 8-14. Masutomi Museum specimen, Kyoto; Nishio-Hamane, D., Ohnishi, M., Minakawa, T., Yamaura, J., Saito, S. & Kadota, R. (2012) Ehimeite, NaCa2Mg4CrSi6Al2O22(OH)2: the first Cr-dominant amphibole from the Akaishi Mine, Higashi-Akaishi Mountain, Ehime Prefecture, Japan. Journal of Mineralogical and Petrological Sciences, 107, 1-7. Kobayashi (1986) Ganseki-Koubutsu-Koshogaku Zasshi, 81, 399-405. Sakamoto & Takasu (1996) Chishitsugaku Zasshi, 102, 49-52. Melcher, F., Grum, W., Thalhammer, T.V., and Thalhammer, O.A.R. (1999): Mineralium Deposita 34, 250-272. Palache et al (1944), Dana's System of Mineralogy, 7th. ed., vol. 1: 680. Challis, G.A., Grapes, R., Palmer, K. (1995) Chromian muscovite, uvarovite, and zincian chromite: products of regional metasomatism in Northwest Nelson, New Zealand. The Canadian Mineralogist, 33(6), 1263-1284. 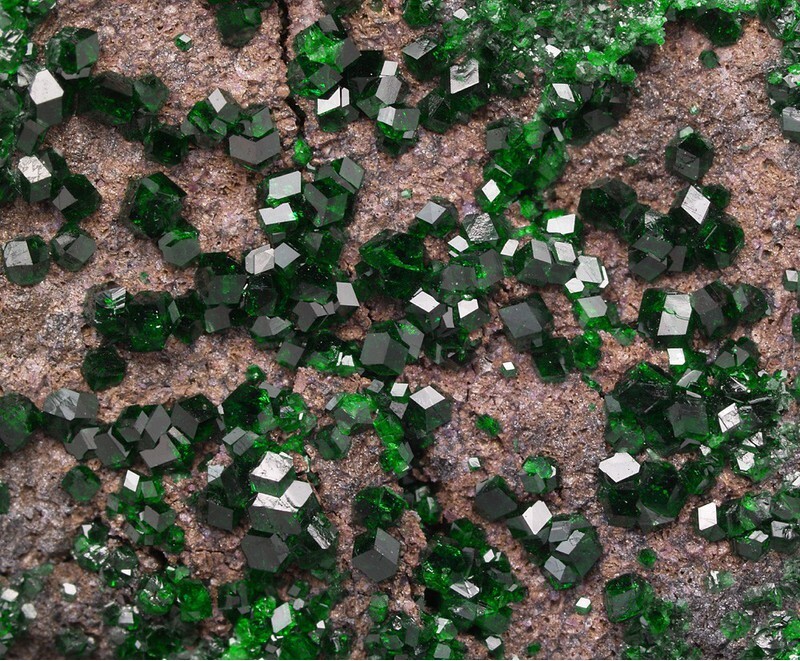 Grafenauer, S. (1977): Genesis of chromite in Yugoslavian peridotite. Pp. 327-351 in Klemm, D.D. & Schneider, H.-J. (Eds. ): Time- and Strata-Bound Ore Deposits. Springer, 446 pp. ; Hiessleitner, G. (1934): Einbruch von Granit und Andesit in Chromerze führenden Serpentin von Lojane, NNW Kumanovo in Südserbien. Zeitschrift für Praktische Geologie 42, 81-88. Pekov, I. (1998) Minerals First discovered on the territory of the former Soviet Union 369p. Ocean Pictures, Moscow; Reznitskii, L., Clark, C. M., Hawthorne, F. C., Grice, J. D., Skogby, H., Hålenius, U., & Bosi, F. (2014). Chromo-alumino-povondraite, NaCr3 (Al4Mg2)(Si6O18)(BO3) 3 (OH) 3O, a new mineral species of the tourmaline supergroup. American Mineralogist, 99(8-9), 1767-1773. [MinRec 25:218]; Pekov, I. (1998) Minerals First discovered on the territory of the former Soviet Union 369p. Ocean Pictures, Moscow; Суставов, С. Г., Шагалов, Е. С., Нурмухаметов, Ф. З., & Главатских, С. П. (2012). ПЕРВАЯ НАХОДКА В РОССИИ ОКСИГИДРАТОВ ХРОМА-ГРИМАЛЬДИТА И ГВИАНАИТА В ЮЖНО-САРАНОВСКОМ ХРОМИТОВОМ МЕСТОРОЖДЕНИИ. Литосфера, (3), 154-159. Stalder, H. A., Wagner, A., Graeser, S. and Stuker, P. (1998): "Mineralienlexikon der Schweiz", Wepf (Basel), p. 420. Dietrich, R. and Medenbach, O. (1978): Kämmererite from the Kop Krom mine, Kop Daglan (Turkey). Mineralogical Record. 9(5), 277-287.
ⓘ Tennessee Mine staff house area ? Anthony, J.W., et al (1995), Mineralogy of Arizona, 3rd.ed. : 409; Thomas, B.E. (1953), Geology of the Chloride quadrangle, AZ, Geol.Soc. of Amer Bull. 64:391-420. Murdoch, Joseph & Robert W. Webb (1966), Minerals of California, Centennial Volume (1866-1966): California Division Mines & Geology Bulletin 189: 193. Michael O'Donoghue (2006) Gems: Their Sources, Descriptions and Identification. Butterworth-Heinemann 6th Edition p234. Cater, F.W., Jr. (1948b), Chromite deposits of Calaveras and Amador Counties, California: California Division Mines Bulletin 134, part III, Chapter 2: 52; Pemberton, H. Earl (1983), Minerals of California; Van Nostrand Reinholt Press: 494. Cater, F.W., Jr. (1948b), Chromite deposits of Calaveras and Amador Counties, California: California Division Mines Bulletin 134, part III, Chapter 2: 44-45, 52; Pemberton, H. Earl (1983), Minerals of California; Van Nostrand Reinholt Press: 494. Cater, F.W., Jr. (1948b), Chromite deposits of Calaveras and Amador Counties, California: California Division Mines Bulletin 134, part III, Chapter 2: 45; Pemberton, H. Earl (1983), Minerals of California: 494. Cater, F.W., Jr. (1948b), Chromite deposits of Calaveras and Amador Counties, California: California Division Mines Bulletin 134, part III, Chapter 2: 50; Murdoch, Joseph & Robert W. Webb (1966), Minerals of California, Centennial Volume (1866-1966): California Division Mines & Geology Bulletin 189: 193. Pemberton, H. Earl (1983), Minerals of California; Van Nostrand Reinholt Press: 494. Wells, F.G., Cater, F.W., and Rynearson, G.A. (1946), Chromite deposits of Del Norte County, California: California Division Mines Bulletin 134, part 1, chapter 1: 34-72; Pemberton, H. Earl (1983), Minerals of California; Van Nostrand Reinholt Press: 495. Wells, F.G., Cater, F.W., and Rynearson, G.A. (1946), Chromite deposits of Del Norte County, California: California Division Mines Bulletin 134, part 1, chapter 1: 47-52; Pemberton, H. Earl (1983), Minerals of California; Van Nostrand Reinholt Press: 495. Allen, John E. (1941), Geologic investigation of the chromite deposits of California: California Division Mines Report 37: 123; Murdoch, Joseph & Robert W. Webb (1966), Minerals of California, Centennial Volume (1866-1966): California Division Mines & Geology Bulletin 189: 136, 193. Wells, F.G., Cater, F.W., and Rynearson, G.A. (1946), Chromite deposits of Del Norte County, California: California Division Mines Bulletin 134, part 1, chapter 1: 34-70; Pemberton, H. Earl (1983), Minerals of California; Van Nostrand Reinholt Press: 495. Wells, F.G., Cater, F.W., and Rynearson, G.A. (1946), Chromite deposits of Del Norte County, California: California Division Mines Bulletin 134, pt. 1, chap. 1: 34-72; Pemberton, H. Earl (1983), Minerals of California; Van Nostrand Reinholt Press: 495. Wells, F.G., Cater, F.W., and Rynearson, G.A. (1946), Chromite deposits of Del Norte County, California: California Division Mines Bulletin 134, pt. 1, chap. 1: Pl. 1, 70; Pemberton, H. Earl (1983), Minerals of California; Van Nostrand Reinholt Press: 495. Wells, F.G., Cater, F.W., and Rynearson, G.A. (1946), Chromite deposits of Del Norte County, California: California Division Mines Bulletin 134, pt. 1, chap. 1: 60-61; Pemberton, H. Earl (1983), Minerals of California; Van Nostrand Reinholt Press: 495. Cater, F.W., Jr., G.A. Rynearson & D.H. Dow (1951), Chromite deposits of El Dorado County, California: California Division Mines Bulletin 134, part III, Chapter 4: 124-125, 161-162; Pemberton, H. Earl (1983), Minerals of California; Van Nostrand Reinholt Press: 495. Cater, F.W., Jr., G.A. Rynearson & D.H. Dow (1951), Chromite deposits of El Dorado County, California: California Division Mines Bulletin 134, part III, Chapter 4: 122-162; Pemberton, H. Earl (1983), Minerals of California; Van Nostrand Reinholt Press: 495. Melhase, John (1935c), Some garnet localities of California: Mineralogist: 3(11): 7-8, 23; Murdoch, Joseph & Robert W. Webb (1966), Minerals of California, Centennial Volume (1866-1966): California Division Mines & Geology Bulletin 189: 195. Averill, Charles V. (1942), Chromium: California Division Mines Report 38: 90; Murdoch, Joseph & Robert W. Webb (1966), Minerals of California, Centennial Volume (1866-1966): California Division Mines & Geology Bulletin 189: 136, 193; Pemberton, H. Earl (1983), Minerals of California; Van Nostrand Reinholt Press: 495. Shannon, Earl Victor (1920), Analyses and optical properties of amesite and corundophilite from Chester, Massachusetts and chromium-bearing chlorites from California and Wyoming: US National Museum Proceedings: 58: 376, 377; Murdoch, Joseph & Robert W. Webb (1966), Minerals of California, Centennial Volume (1866-1966): California Division Mines & Geology Bulletin 189: 193, 195. Cater, F.W., Jr., G.A. Rynearson & D.H. Dow (1951), Chromite deposits of El Dorado County, California: California Division Mines Bulletin 134, part III, Chapter 4: 162; Pemberton, H. Earl (1983), Minerals of California; Van Nostrand Reinholt Press: 495. Matthews, Robert Alfred (1961) Geology of the Butler Estate chromite mine. California Division of Mines and Geology Special Report 71, 20 pp. : 15; Pemberton, H. Earl (1983), Minerals of California; Van Nostrand Reinholt Press: 495. Dow, D.H. & T.P. Thayer (1946), Chromite deposits of the northern Coast Ranges of California: California Division Mines Bulletin 134, part 2: 17; Pemberton, H. Earl (1983), Minerals of California; Van Nostrand Reinholt Press: 496. Melhase, John (1935c), Some garnet localities of California: Mineralogist: 3(11): 23; Murdoch, Joseph & Robert W. Webb (1966), Minerals of California, Centennial Volume (1866-1966): California Division Mines & Geology Bulletin 189: 140, 194. Murdoch, Joseph & Robert W. Webb (1966), Minerals of California, Centennial Volume (1866-1966): California Division Mines & Geology Bulletin 189: 194. Hart, E.W. (1966) Mines and mineral resources of Monterey County, California. California Division Mines and Geology County Report 5, 142 pp. : 31-32; Pemberton, H. Earl (1983), Minerals of California; Van Nostrand Reinholt Press: 497. Bradley, W.W. (1938), Thirty-fourth report of the State Mineralogist: California Division Mines Report 34: 354; Bradley, W.W. (1939), Thirty-fifth report of the State Mineralogist: California Division Mines Report 35: 497; Murdoch, Joseph & Robert W. Webb (1966), Minerals of California, Centennial Volume (1866-1966): California Division Mines & Geology Bulletin 189: 136, 194. USGS (2005), Mineral Resources Data System (MRDS): U.S. Geological Survey, Reston, Virginia, loc. file ID #10212675. Rynearson, Garn Arthur (1953), Geological investigations of chromite in California: California Division Mines Bulletin 134, part 3, chapter 3: 207; Pemberton, H. Earl (1983), Minerals of California; Van Nostrand Reinholt Press: 497; USGS (2005), Mineral Resources Data System (MRDS): U.S. Geological Survey, Reston, Virginia, loc. file ID #10212682. Rynearson, Garn Arthur (1953), Chromite deposits in the northern Sierra Nevada, California. California Division of Mines and Geology Bulletin 134, part 3 chapter 5: 230; Pemberton, H. Earl (1983), Minerals of California; Van Nostrand Reinholt Press: 497. USGS (2005), Mineral Resources Data System (MRDS): U.S. Geological Survey, Reston, Virginia, loc. file ID #10237215. USGS (2005), Mineral Resources Data System (MRDS): U.S. Geological Survey, Reston, Virginia, loc. file ID #10188665. Rynearson, Garn Arthur (1953), Chromite deposits in the northern Sierra Nevada, California. California Division of Mines and Geology Bulletin 134, part 3 chapter 5: 205; Pemberton, H. Earl (1983), Minerals of California; Van Nostrand Reinholt Press: 497. Melhase, John (1935c), Some garnet localities of California: Mineralogist: 3(11): 23; Murdoch, Joseph & Robert W. Webb (1966), Minerals of California, Centennial Volume (1866-1966): California Division Mines & Geology Bulletin 189: 141.
ndgren, Waldemar (1888), Contributions to the mineralogy of the Pacific Coast: California Academy of Sciences Proceedings, 2nd. series: 1: 5; Melville, William Harlow & Waldemar Lindgren (1890), Contributions to the mineralogy of the Pacific coast: USGS Bulletin 61, 40pp. : 27; Murdoch, Joseph & Robert W. Webb (1966), Minerals of California, Centennial Volume (1866-1966): California Division Mines & Geology Bulletin 189: 141, 194. Rynearson, Garn Arthur (1953), Chromite deposits in the northern Sierra Nevada, California. California Division of Mines and Geology Bulletin 134, part 3 chapter 5: 206-207, Pl. 13; Pemberton, H. Earl (1983), Minerals of California; Van Nostrand Reinholt Press: 497. Murdoch, Joseph & Robert W. Webb (1966), Minerals of California, Centennial Volume (1866-1966): California Division Mines & Geology Bulletin 189: 195; Pemberton, H. Earl (1983), Minerals of California; Van Nostrand Reinholt Press: 497. Murdoch, Joseph & Robert W. Webb (1966), Minerals of California, Centennial Volume (1866-1966): California Division Mines & Geology Bulletin 189: 195. Brush, G.J. (1866), New mineral localities; ouvarovite: American Journal of Science, 2nd. series: 42: 268; Hanks, Henry Garber (1884), Fourth report of the State Mineralogist: California Mining Bureau. Report 4, 410 pp. : 183; Murdoch, Joseph & Robert W. Webb (1966), Minerals of California, Centennial Volume (1866-1966): California Division Mines & Geology Bulletin 189: 136, 195. USGS (2005), Mineral Resources Data System (MRDS): U.S. Geological Survey, Reston, Virginia, loc. file ID #10140307.
ⓘ Unnamed Garnet-Vesuvianite occurrence  ? Bowen, O.E., Jr. (1954), Geology and mineral deposits of Barstow quadrangle, San Bernardino County, California: California Division Mines Bulletin 165: 32; Murdoch, Joseph & Robert W. Webb (1966), Minerals of California, Centennial Volume (1866-1966): California Division Mines & Geology Bulletin 189: 225. Wells, F.G. and Hawkes, H.E. (1965) Chromite deposits of Shasta, Tehama, Trinity and Humboldt counties, California. California Division Mines and Geology Bulletin 134, part 1, chapter 3: 158; Pemberton, H. Earl (1983), Minerals of California; Van Nostrand Reinholt Press: 499. Wells, F.G. and Hawkes, H.E. (1965) Chromite deposits of Shasta, Tehama, Trinity and Humboldt counties, California. California Division Mines and Geology Bulletin 134, part 1, chapter 3: 146-158; Pemberton, H. Earl (1983), Minerals of California; Van Nostrand Reinholt Press: 499. Kunz, George Frederick (1905a), Gems, jewelers’ materials, and ornamental stones of California: California Division Mines Bulletin 37, 171 pp. : 52; Melhase, John (1935c), Some garnet localities of California: Mineralogist: 3(11): 23; Murdoch, Joseph & Robert W. Webb (1966), Minerals of California, Centennial Volume (1866-1966): California Division Mines & Geology Bulletin 189: 196. Ferguson, Henry G. & R.W. Gannett (1932), Gold quartz veins of the Alleghany district, California: USGS PP 172: 40; Pemberton, H. Earl (1983), Minerals of California; Van Nostrand Reinholt Press: 499. USGS (2005), Mineral Resources Data System (MRDS): U.S. Geological Survey, Reston, Virginia, loc. file ID #10184441. USGS (2005), Mineral Resources Data System (MRDS): U.S. Geological Survey, Reston, Virginia, loc. file ID #10165287. Pemberton, H. Earl (1983), Minerals of California: 499. Symons, Henry Heilbronner (1945), Accessions to the exhibit: California Division Mines Report 42: 101; Murdoch, Joseph & Robert W. Webb (1966), Minerals of California, Centennial Volume (1866-1966): California Division Mines & Geology Bulletin 189: 137; Pemberton, H. Earl (1983), Minerals of California; Van Nostrand Reinholt Press: 500. Rynearson, Garn Arthur & Clay T. Smith (1940), Chromite deposits in the Seiad quadrangle, Siskiyou County, California: USGS Bulletin 922-J: 306; Allen, John E. (1941), Geologic investigation of the chromite deposits of California: California Division Mines Report 37: 123; Wells, F.G. and Cater, F.W. (1950) Chromite deposits of Siskiyou County, California. California Division Mines Bulletin 134, part 1, chapter 2: 122-127; Pemberton, H. Earl (1983), Minerals of California; Van Nostrand Reinholt Press: 435, 499-500. Melhase, John (1935c), Some garnet localities of California: Mineralogist: 3(11): 23; Murdoch, Joseph & Robert W. Webb (1966), Minerals of California, Centennial Volume (1866-1966): California Division Mines & Geology Bulletin 189: 136, 196.; Pemberton, H. Earl (1983), Minerals of California; Van Nostrand Reinholt Press: 435. Rynearson, Garn Arthur & Clay T. Smith (1940), Chromite deposits in the Seiad quadrangle, Siskiyou County, California: USGS Bulletin 922-J: 304; Allen, John E. (1941), Geologic investigation of the chromite deposits of California: California Division Mines Report 37: 123; Wells, F.G. and Cater, F.W. (1950) Chromite deposits of Siskiyou County, California. California Division Mines Bulletin 134, part 1, chapter 2: 122-126; Pemberton, H. Earl (1983), Minerals of California; Van Nostrand Reinholt Press: 435, 499. Symons, Henry Heilbronner (1945), Accessions to the exhibit: California Division Mines Report 42: 101; Murdoch, Joseph & Robert W. Webb (1966), Minerals of California, Centennial Volume (1866-1966): California Division Mines & Geology Bulletin 189: 186. USGS (2005), Mineral Resources Data System (MRDS): U.S. Geological Survey, Reston, Virginia, loc. file ID #10214195. Hawkes, Herbert Edwin, Jr., Francis Gerritt Wells & Dooley P. Wheeler, Jr. (1942), Chromite and quicksilver deposits of the Del Puerto area, Stanislaus County, California: USGS Bulletin 936-D: 91; Murdoch, Joseph & Robert W. Webb (1966), Minerals of California, Centennial Volume (1866-1966): California Division Mines & Geology Bulletin 189: 186; Pemberton, H. Earl (1983), Minerals of California; Van Nostrand Reinholt Press: 500. Rynearson, Garn Arthur (1946), Chromite deposits of the North Elder Creek area, Tehama County, California: USGS Bulletin 945-G: 200; Murdoch, Joseph & Robert W. Webb (1966), Minerals of California, Centennial Volume (1866-1966): California Division Mines & Geology Bulletin 189: 137, 196; Pemberton, H. Earl (1983), Minerals of California; Van Nostrand Reinholt Press: 500. Kunz, George Frederick (1905a), Gems, jewelers’ materials, and ornamental stones of California: California Division Mines Bulletin 37, 171 pp. : 53; Murdoch, Joseph & Robert W. Webb (1966), Minerals of California, Centennial Volume (1866-1966): California Division Mines & Geology Bulletin 189: 196. Cater, F.W., Jr. (1948a), Chromite deposits of Tuolumne and Mariposa Counties, California: California Division Mines Bulletin 134, part III, Chapter 1: 13; Pemberton, H. Earl (1983), Minerals of California; Van Nostrand Reinholt Press: 500. Cater, F.W., Jr. (1948a), Chromite deposits of Tuolumne and Mariposa Counties, California: California Division Mines Bulletin 134, part III, Chapter 1: 17; Pemberton, H. Earl (1983), Minerals of California; Van Nostrand Reinholt Press: 500. Cater, F.W., Jr. (1948a), Chromite deposits of Tuolumne and Mariposa Counties, California: California Division Mines Bulletin 134, part III, Chapter 2: 12-13; Pemberton, H. Earl (1983), Minerals of California; Van Nostrand Reinholt Press: 500; USGS (2005), Mineral Resources Data System (MRDS): U.S. Geological Survey, Reston, Virginia, loc. file ID #10043706, 10077892 & 10166012. Cater, F.W., Jr. (1948a), Chromite deposits of Tuolumne and Mariposa Counties, California: California Division Mines Bulletin 134, part III, Chapter 1: 21-23; Pemberton, H. Earl (1983), Minerals of California; Van Nostrand Reinholt Press: 500. Melhase, John (1935c), Some garnet localities of California: Mineralogist: 3(11): 7-8, 22-24; Murdoch, Joseph & Robert W. Webb (1966), Minerals of California, Centennial Volume (1866-1966): California Division Mines & Geology Bulletin 189: 196. Rainville, G. D. and Park, W. C. (1976) Nickeliferous Pyrrhotite Deposits, Knox County, Southeastern Maine in Lyons, P. C. and Brownlow, A. H. (editors) Studies in New England Geology, Memoir 146, Geological Society of America, p. 319-347; Thompson, W.B., et.al., 1998, Maine Mineral Localities, 3rd edition, Maine Geological Survey, Augusta. Lapham & Geyer, 1965. Mineral Collecting in Pennsylvania; Dana 6:1069. W. Dan Hausel (1994) Geology and Mineralization of the Cooper Hill Mining District, Medicine Bow Mountains, Southeastern Wyoming. Wyoming Geological Survey Report of Investigation 49.